Looking for a touch of class with your next ski trip? Valle Nevado has you covered. Nothing says “deluxe fun” quite as much as reversing seasons. In the winter, we head to Florida or Mexico to catch some much-needed rays; in the summer, why not head to parts south – as in the Southern Hemisphere – for some skiing? And if you’re looking for options that range from luxury to budget-friendly, Chile’s Valle Nevado is a ski resort and all-around vacation destination that will cater to your needs. 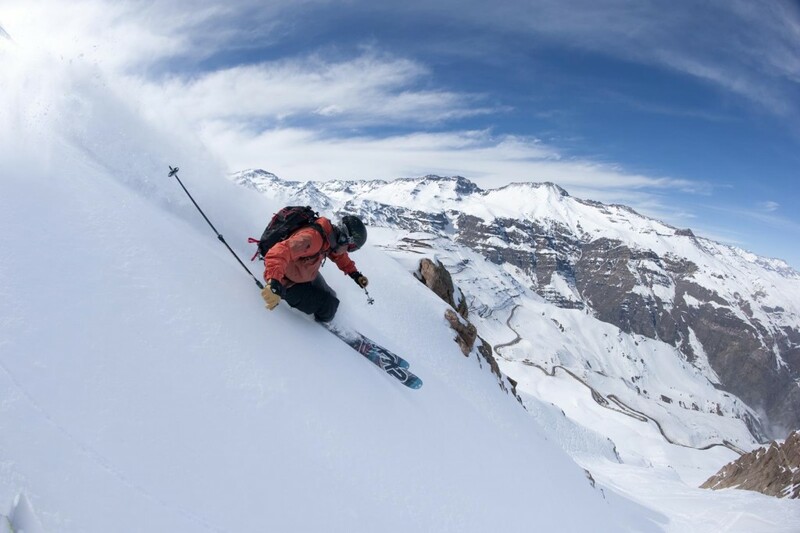 Chile’s ski season runs from June to October – pretty much the opposite of the USA’s. Not surprisingly, several resorts have sprung up in the Andes Mountains, taking advantage of the steeply-sloping terrain, fabulous scenery and abundant snowfall. Valle Nevado is the largest South American ski resort in terms of skiable area, but that’s not its only claim to fame. Spearheaded by European businessmen nearly three decades ago, this resort offers a touch of Euro style in a very South American setting. What Rooming Options Does Valle Nevado’s Ski Resort Offer? Vacations are more fun when there’s some pampering involved. 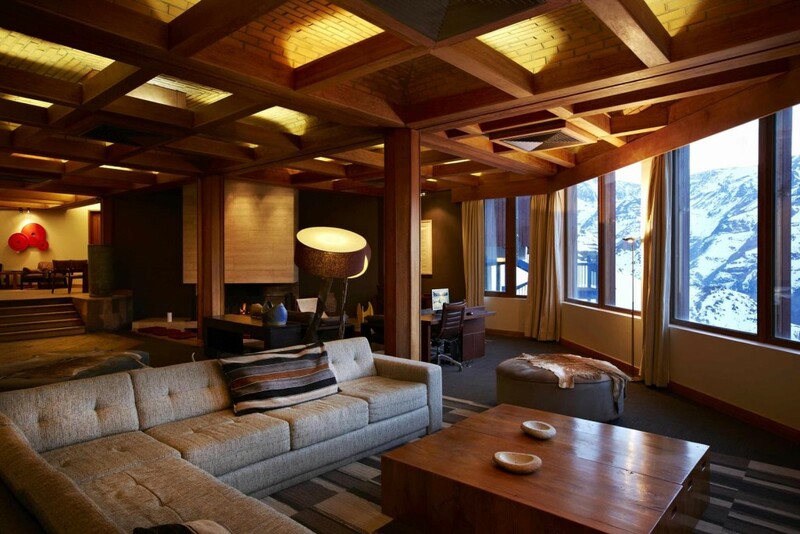 And at Hotel Valle Nevado, the ski resort’s signature accommodation, pampering is the name of the game. 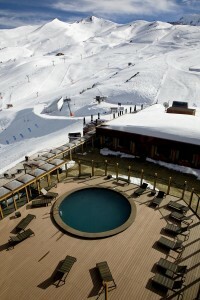 Renovated in 2010, this luxurious hotel has ski-in ski-out access in some areas. Terraces (with, of course, a remarkable view), a gourmet restaurant and in-room Wi-Fi add to the indulgent feel. The Hotel Puerta del Sol offers a more family-friendly vibe while still remaining comfortable and stylish. Shared rooms make it easier for families and groups of friends to stay connected throughout their visit. On-site amenities for this hotel include an outdoor heated pool, a kid’s area, a cybercafé, a buffet-style restaurant and a sushi bar. At the Hotel Tres Puntas, budget-friendly rooms can hold up to six persons – big enough for the whole group. Even without the ski-in access of Hotel Valle Nevado, though, guests are never too far from the slopes; a two-minute walk will get you there. And when privacy and flexibility are at a premium, apartment rentals are the solution. Valle Nevado has four buildings of private apartments that offer amenities like private kitchens or kitchenettes and sparkling views from private terraces. These options can sleep an entire family in comfort and – you guessed it –privacy. What’s the Best Way to Get to Valle Nevado? 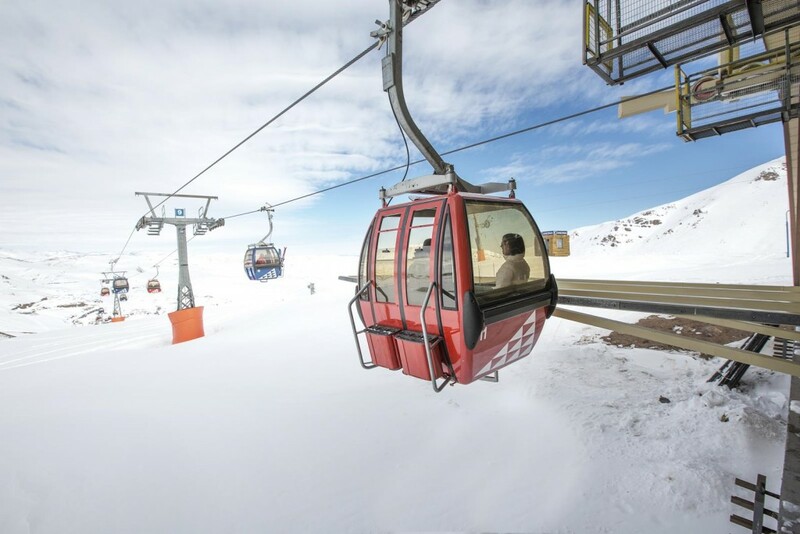 Your first step in getting to Valle Nevado is to fly into Santiago International Airport. 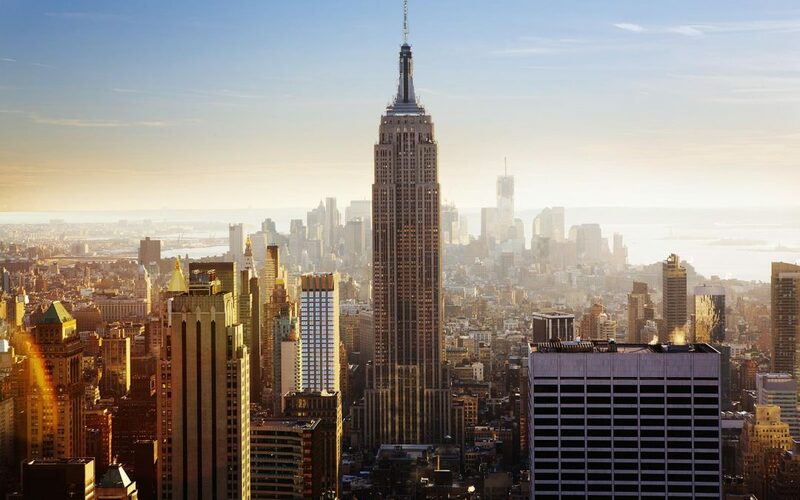 This air travel hub accepts more than 20 airlines, including Lan Airlines, Delta, United, Air France and American. Valle Nevado is only about 37 miles from the city of Santiago, making it relatively convenient for out-of-towners. 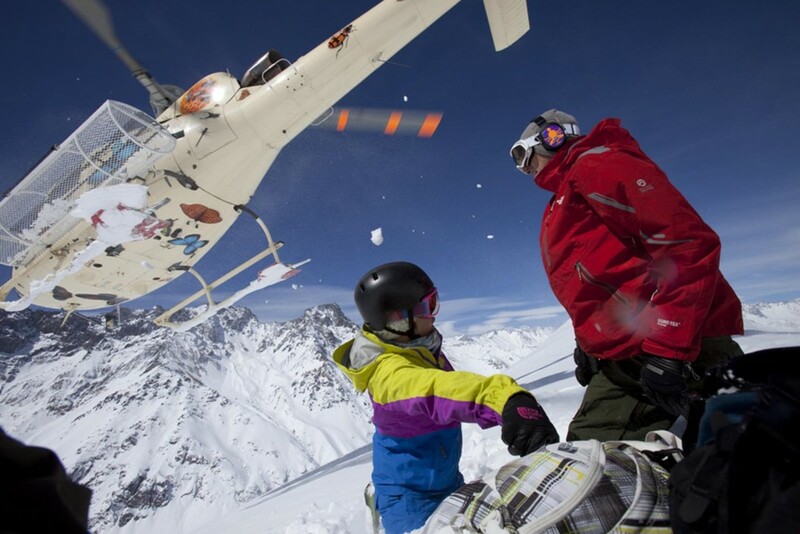 If you really want to splurge, you can rent a helicopter for a short flight to the resort. Otherwise, it’s best to leave the driving to the pros on these mountain roads; although you can rent a car, hiring a driver or taking a bus is the less nerve-wracking choice. Along the way, keep your eyes peeled for condors and wondrous Andean scenery. 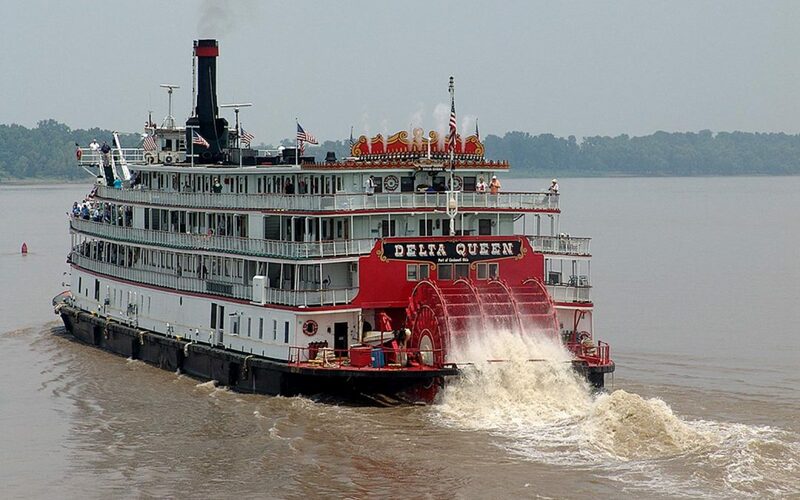 The resort is entirely self-contained; once on the grounds, you won’t need a car. But do reserve your ground transportation before you reach the airport. Other Than Skiing, What Else Can I Do at Valle Nevado? How does shopping, family fun and festivals sound as non-ski activities? On-site shopping at the Valle Nevado resort is largely about skis, but it’s not exclusively ski-oriented; you’ll also find outdoor gear, clothing and souvenirs among the offerings. Family activities include a barbecue lunch on Saturdays, a Saturday-evening torchlight parade down a slope, snowshoe excursions and lessons in igloo-building. And then there’s the food. With six restaurants to choose from, you can have Italian one night, Chilean-American fusion cuisine the next and a burger or two on the third. Finally, if you happen to time your trip for certain weeks in June, July or August, you can enjoy local festivals dedicated to wine and fine cuisine, right at the resort. In many ways, Valle Nevado ski resort offers a blend of the best things in traveling. You can find awe-inspiring scenery paired with cozy indoor surroundings. You can enjoy a steep, expert-level ski run while knowing that your kids are safely having their first lesson. 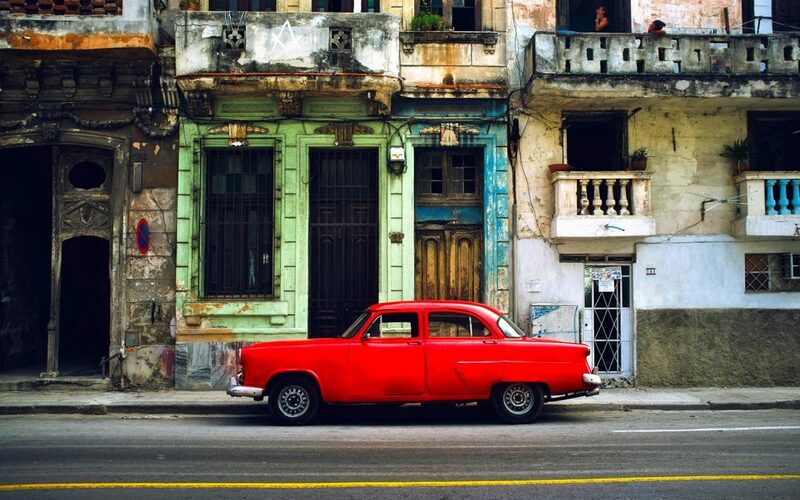 You can experience European style with South American hospitality and flair. And, of course, you can enjoy some wintry skiing, while everyone back home is melting through the dog days of summer. 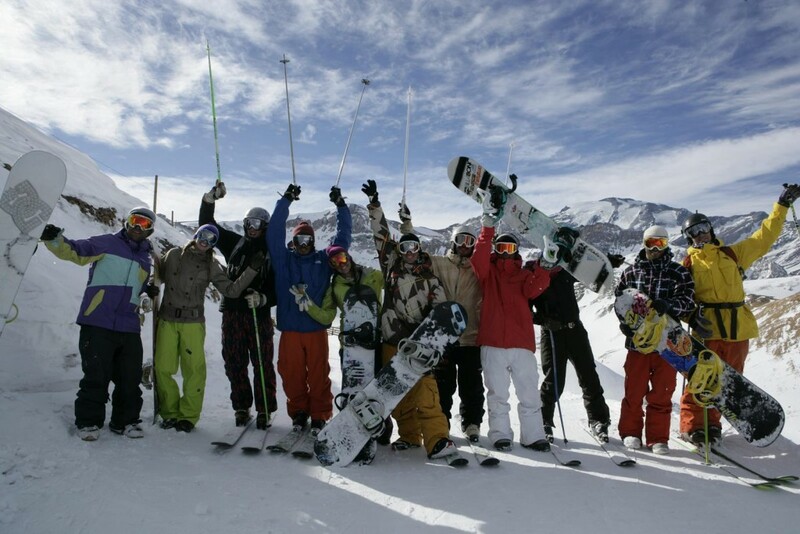 If you’d like more information about Valle Nevado ski resort, fill out the contact form below. And if you’ve already experienced this Chilean destination, feel free to share your story in the box below. Thanks!